I got up at 4:30am, ran and felt SUPER good all day. Note to future self: you always feel good later when you wake up and run. Monday still got the best of me though. 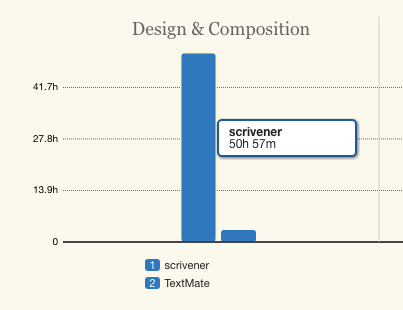 My total words were not high today, but I made some good progress that isn’t measured in word count. I went back and finalized several of the chapters in Part I today. That effort doesn’t really show up in my word count, so that’s part of why I’m not freaking out today. I had marked several chapters in Part I that I wasn’t 100% happy with. I think having those unfinished chapters in the back of my mind was getting to me, so I took the time to go back and finish them off. Finishing several of those chapters feels good, but it didn’t inflate my numbers which makes the day feel like it wasn’t as productive. I know that’s not true, but it still feels that way. I got most of a new chapter in Part II written, so that does feel good. I ended up spending a lot of time researching this morning. I wasn’t anticipating thins. For the most part I have my message and already know what I want to say. But I came across a few places where I needed to spend an hour or two researching. That was an unexpected slowdown. Note to self for future book-writing: build in a greater buffer for unexpected research. We had a pretty big team call today. There were some time-sensitive issues we needed to discuss pertaining to seanwes conference—which is just a few months out. It was a very productive meeting and I feel good about the progress we made. It did run longer than usual though and ate a nice 2-hour chunk out of my day. 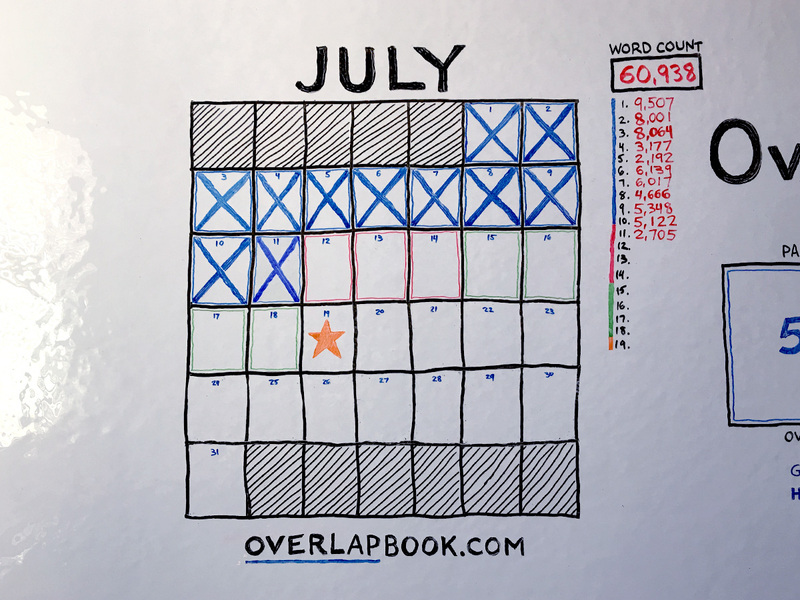 Going back and working on old chapters was productive, but didn’t inflate the word count. I ended up needing to spend time I wasn’t anticipating doing research. Participating in weekly team calls takes a large chunk of my time. Focus instead on getting imperfect words out. Finish the remaining chapters first. Don’t spend time going back and fixing up old stuff even if it bugs me. Plan extra time for research and schedule that time. Don’t be aimless in my day and lose myself to research. I still need to write. Join team calls only if absolutely necessary during book-writing months, and have a plan of action and a maximum time frame going in. 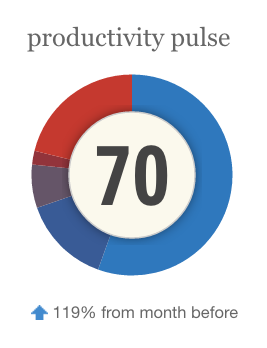 I will also say that RescueTime was very illuminating today. I was wondering where the day went and what happened to my time. Because I run RescueTime, I could easily pinpoint where my time went. I can see a breakdown of what apps I used at what time of day as well as what general categories of applications and websites I was using at any given time. The bar graphs make it easy to see trends and identify what I was doing. I actually just use the free version, but I’m considering upgrading because I like it so much. Apps and websites are automatically categorized as “Very Distracting”, “Very Productive” and everything in-between for your convenience, but you can also manually assign the apps you use to whatever labels you like. RescueTime give me a great at-a-glance view of whether my time was spent on distracting things or productive things.